I wanted to write on Afghan Trade Transit through Wahga, and its losses to Pakistani economy and culture but recent writings of Dr. Ayesha Sidiqa and Rasheed Ahmad’s article consisting of a full page of an English newspaper in which various threats have been expressed on increasing Talibanaization in South Punjab. This has forced me to give my comments on doubts being spread by “Local English” intellectuals about my peaceful area and the hidden interests of enemies of Pakistan behind such doubts. But before discussing today’s topic I would like to ask a question from my readers. Readers if anyone knows to write and speak English, having grip over English living in Islamabad, some of his articles published against Pak-Army or ISI, he claims Theory of Pakistan as fraud and Islamic identity of Pakistani public as hurdle in the way of development of Pakistanis. He/she thinks that fears of Pakistani public against India, Indian illegal capture of a part of Kashmir is propaganda of Pak-Army/ISI and most importantly the terrorism in whole world especially South Asia is done by Pak-Army/ISI. He/she sees capturers of Afghanistan as Liberators. Dozens of Indian Consulates in Afghanistan and interference of India in Pakistan is a need and policy of RAW for him, Are these qualities are prerequisites for being an INTELLECTUAL for western media? And if this is necessary that in order to be a responsible person and intellectual in the eyes of western media, one should humiliate his own identity, cultural values, blame his own security agencies, if this is intellectualism then thousands time curse for being called an intellectual. The second question is that why only few columnists/intellectuals writing in English language are afraid? What type of the microscopic eyes they have that in spite of being hundreds of miles away they see all Taliban in South Punjab, which are hidden from national Urdu newspapers local journalists, representatives, reporters and mostly from local leadership? Lets ignore Dr. Ayesha Sidiqa because she herself belongs to South Punjab (Khanqah Shareef Bahawalpur) and secondly she gets revelations in “English”. She told one of her revelations in her post in “Daily Times” on 23rd December 2006. In this she has claimed Jihad and Prostitution two sides/views of same thinking, she said, “Jihadi sells his life while Prostitute sells her body”. On basis of her personal observation she termed men of South Punjab devoid of respect, and illegal relationships of women of South Punjab with men a hobby, or business. Moreover Ayesha has told world with her definite knowledge that in South Punjab just two works are done, Prostitution or preparation of Mujihadeen. 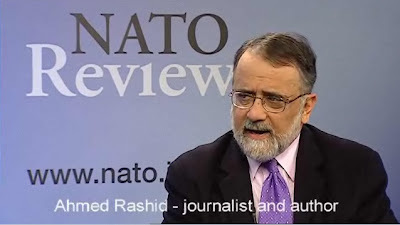 But taken as authority on Afghanistan, Central Asia, resistant war against Soviet Union and Taliban, Ahmad Rasheed, how and when he has become expert over culture, geography and political situation of South Punjab that he foresees it falling in the hands of Taliban. If he means the involvement of hundreds of young people from Saraiki speaking areas during the 1980s in afghan Jihad, then in this era not only people of South Punjab but friends of Ahmad Rasheed, Americans has started a world wide campaign of “Jihad for Allah” and invited the Muslims from whole world for Jihad in Afghanistan. Now saying this that old friends have restarted contacts, or supporters of Taliban from Saraiki area will call Taliban here is not a proof that this area is going to be safe heaven for Taliban. Yes! There is no doubt in this that religious Madressahs (schools) number to thousands in South Punjab. Then what should the people of these undeveloped areas do? Limit their children to their houses; end the facility of only education (religious) that is available to them. Then what will be the end of this? In order to answer this question we do not need Aristotle or Socrates. Writers of our English newspapers “Local English” should be thankful to South Punjab. They should respect people of South Punjab who in spite of long deprivation have chosen not to protest. They have accepted poverty which have been given to them in inheritance from generation to generation as decision of their fate, they have taken tortures of feudals and rulers as their ill fate, in spite of so much sacrifices if we still take them as supporters of terrorism then we should be ashamed of our thinking, but we (these Local English writers) will not feel any shame because the Indus Highway providing trade facilities to China passes from two underdeveloped areas of South Punjab. For access of China to Gwadar this area is very important. Let us analyze another aspect. Maybe America and its allies were not mentally ready that Pak-Army will crush terrorists in Swat, Mingora, Bonir and Dir with full force and it will succeed in winning support of general public. The will of America or policy was that poor situation of peace in hilly areas of Gwadar Trade route continues permanently so that access of China to Gwadar could be stopped and Pakistan could be weakened and Pakistani should be made hopeless. But I think this is Help from Allah that today Pak-Army is fighting against enemies of Pakistan, sacrificing their lives and whole nation is standing at their back praying for their victory and success. On this some readers might think that America was itself demanding operation against Taliban? Then dear readers if at the will of America Pak-Army has crushed extremists and their power is decreasing day by day then why American Congress, American President and his Cabinet needs to fall in anxiety and start un organized statements against safety of Pakistani nukes? They should have been satisfied and happy that power of terrorists or Taliban is decreasing day by day. But they are more worried and their hired intellectuals have been threatened that South Punjab is going to fall in the hands of Taliban which is nothing more than propaganda. Definitely some of those elements defeated in Swat and tribal areas may try to find shelters in remote areas of Dera Ghazi Khan or Rajan Pur but it is now impossible for them to stand in front state agencies. Yes! 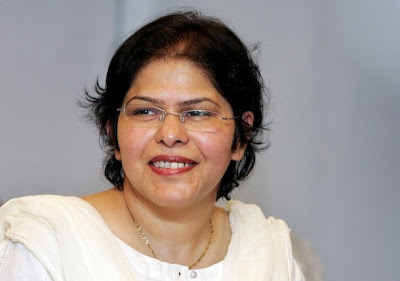 In the way Ahmad Rasheed, Dr. Ayesha Sidiqa or few other writers are pointing out a possible threat in South Punjab, and then there is need to stay alert and attentive. Because these were the Arab writers like Ahmad Rasheed who had written columns in European media and even books claiming that Iraq has biological and chemical weapons. 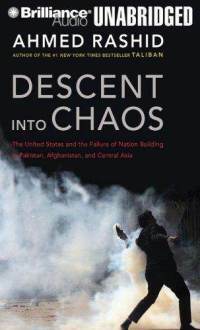 Such like book of Ahmad Rasheed “Descent in Chaos” came forward last year when in a suicide bomb blast on the gate of Indian consulate in Afghanistan an Indian Brigadier nick named as “Qasai (butcher)”, Brigadier Mahita was dead. (Before coming to Kabul he was famous as QASAI for recklessly murdering innocent Kashmiri people). And including India whole international blamed ISI for this attack. Even Afghan President also condemned Pakistan for alleged bomb blast. In such situation the book of Ahmad Rasheed provided fuel to burning fire, because the above mentioned book is being claimed as Charge Sheet against ISI and Pak-Army. 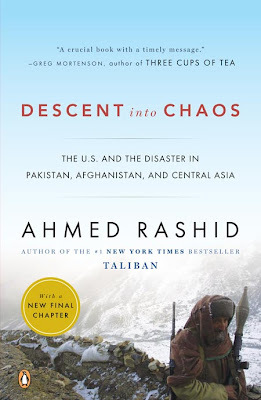 Through this book Ahmad Rasheed has tried to prove, “in the region these two agencies are responsible for spreading fire religious extremism and Talibanaization, due to them this fire has spread to Central Asian states, it is impossible to control it now till it turns everything into ashes”. In this book Ahmad Rasheed has severely criticized Kashmir Policy of Pakistan, due to this reason book was sold as hot cake in India. After this it is clear to everyone how ISI has been limited and such situation has been created that Pakistan not only forgot Occupied Kashmir but also has been forced to keep silent even on the theft of its river waters, in order to save itself from a possible accuse speaking against allies. Now if a writer equally famous in India, America and Afghanistan is expressing concerns about threat of Talibanaization in South Punjab than it has some hidden interests behind this? So the whole nation should be careful and alert about these damned hidden interests. There is another aspect of Taliban presence in South Punjab which cannot be ignored. The people of our Saraiki belt who belonged to Afghan Jihad had also tried to support Mujahideen in Occupied Kashmir, so India cannot ignore them. As India has succeeded in getting Lashkar-e-Taiba banned through UN through its staged drama of 26/11, now this will be policy of India to remove any supporters of Kashmir from South Punjab as well. All the information for this project and moreover the publishing of this book was sponsored by “Wilson Centre”. This is the book that has given fame and identity to Dr. Ayesha. Now it is the demand of time that she pays back by starting propaganda of Talibanization in South Punjab. It should be also kept in mid that General Zia-ul-Haq has given Dr. Ayesha job in Military Accounts on the request of her uncle Makhdoom Shahab-u-din Awaisi (he was also member of Punjab Assembly during Junejo regime).